Day trips from Melbourne abound and a visit to Healesville Sanctuary is sure to please most. 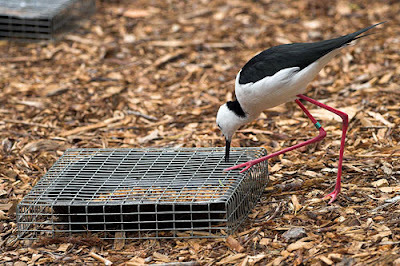 Located approximately one hour’s drive from Melbourne, the sanctuary specializes in exhibiting, rehabilitating and caring for Australia’s unique wildlife. 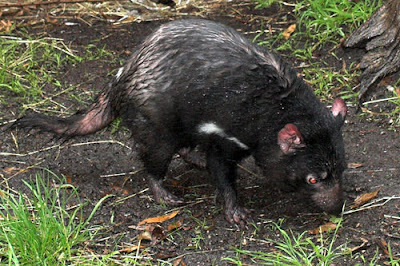 The Tasmanian devil population has attracted much publicity in recent times due to a dramatic decline in the last decade as a result of Devil Facial Tumour Disease (DFTD). The sanctuary is one of four Australian mainland locations actively participating in Project Ark which has been initiated by the Tasmanian Government. Eighteen devils have been transferred from disease free areas of western Tasmania to Healesville as part of an insurance population to help protect the species from extinction. 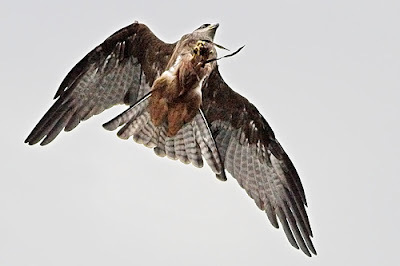 The Birds of Prey show is a scheduled highlight each day at 12.00pm and 2.30pm in a small amphitheatre setting. 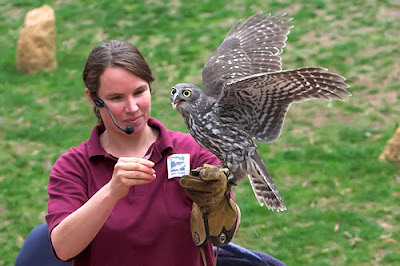 Keepers interact with birds such as the peregrine falcon, wedge-tailed eagle, black-breasted buzzard and barking owl. Black-winged stilts, dingoes, reptiles, lyrebirds, kangaroos, koalas, pelicans, platypus, emus, kookaburras and fruit bats are just some of the large variety of animals at the sanctuary to view as you wander around the grounds. 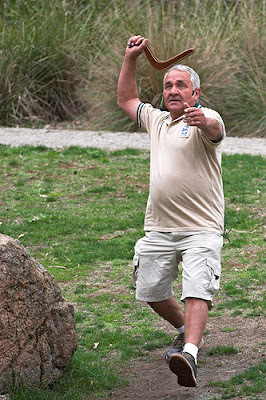 Indigenous culture can be experienced on Saturdays, and other special times as advertised, as Murrundindi performs a boomerang throwing display and plays the didgeridoo. At the completion of his entertaining show, souvenir boomerangs can be purchased from him for $10.00 each. Murrindindi is quite a character and has the audience in fits of laughter as a result of his dry wit. A licensed bistro, kiosk, numerous picnic areas, a playground and souvenir shop are some of the other facilities available for visitors to the sanctuary. 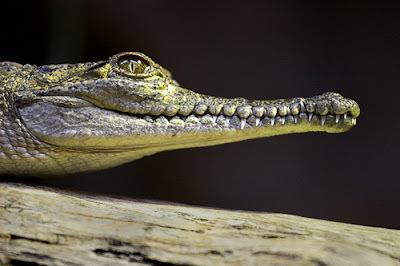 For admission prices, opening hours and other information call: 03 5957 2000 or check their web site http://www.zoo.org.au/healesville/ . 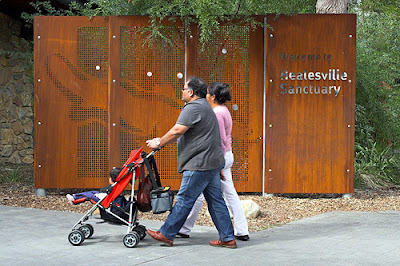 Healesville Sanctuary – savour the experience. 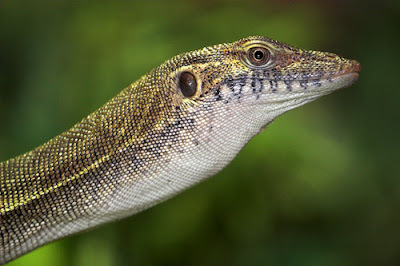 View my short slideshow of images from the Healesville Sanctuary on YouTube. Love the pics of Healsville Sanctuary. 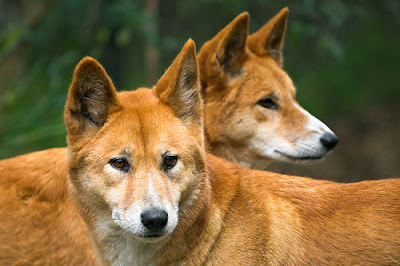 Your shots of the dingoes appear to be posing for you. Beautiful clarity and well thought out.